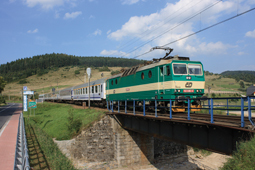 The fourth part of our historical series is the second about the “Kryniczanka” line, deals with the construction and subsequent development of the Muszyna – Krynica branch line, which was opened for traffic in May 29th 1911. There is an account of the line’s history as well as an inventory of the rolling stock used right from the very beginning to the more modern times. Particularly interesting is a detailed description of a journey along the Muszyna – Krynica line milepost by milepost. 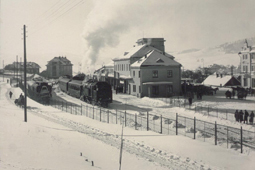 When the story of the “Kryniczanka” is told, one should not forget to mention the Nowy Sącz steam locomotive depot which was closely linked with the Tarnów – Leluchów and Muszyna – Krynica lines, providing motive power for both of these lines from their very beginning. The softbound book gives the background to the beginnings of the shed as well as its enlargement, and continues the story to modern times. 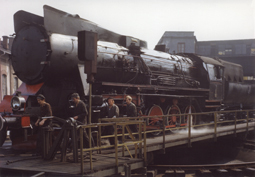 Details of the locomotives that were allocated there throughout the years is included. The book is richly illustrated. Apart from maps, station and depot diagrams, timetables and tickets, it includes more than 200 historical pictures. "The history of railway line # 105: Muszyna - Krynica"
in Polish, 210 x 280mm format, 120 pages (24 black and white + 96 color), 231 photographs, 11 timetables, 15 tickets, 6 maps, 13 station and locomotive depot diagrams.